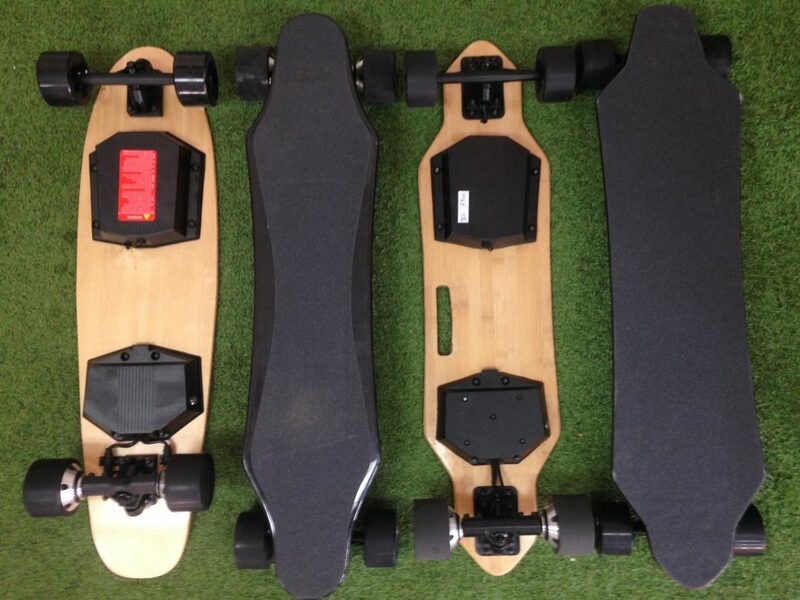 New to Perth Electric Bikes we now stock high quality newly released electric skateboards! All our boards run zero maintenance internal wheel motors which make for easy riding. Each board is controlled with the use of a hand held multiple option controller, allowing you to choose the perfect power setting for any ride. With a huge top speed of 48kph you are more than capable of making the morning commute a breeze! Both Carbon and Wooden options currently available. Carbon boards feature a lovely stealth battery to hide any signs of being electric for even more style! Light weight, easy to use and transport friendly, Come try yours in shop today!